Office Depot is an office supplies retailer servicing the needs of the global workforce. 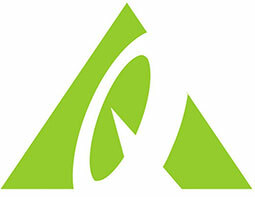 The company features an extensive array of office products, from computers and printers to filing solutions and furniture. Office Depot & OfficeMax: Tap offer to copy the coupon code. Remember to paste code when you check out. Online only. Office Depot & OfficeMax: Get $35 off Select Quicken Software with the Purchase of TurboTax. Offer excludes technology. Office Depot & OfficeMax: No coupon code needed. Tap to shop the sale now. Office Depot & OfficeMax: Get $20 off Canon Toner with purchase of compatible printer. Limit 2 Offers per Customer. Office Depot & OfficeMax: Get a Free Tote and Umbrella with $125 minimum qualifying purchase. Limit 1 offers per customer. Office Depot & OfficeMax: Get 30% Off Your Qualifying Regularly Priced Purchase of $30 or More. Limit 1 Offers Per Household/Business. Office Depot & OfficeMax: Get a Free Wall Calendar With Canvas Print Purchase: Up to $14.99 value. Office Depot & OfficeMax: Get $20 Off Your Minimum Purchase of $100 or more. Limit 1 Offer(s) Per Household/Business. Offer excludes technology. Office Depot & OfficeMax: Save 20% On Your Regular & Sale Priced Office & School Supplies Purchase. Limit 1 Offer(s) Per Household/Business. 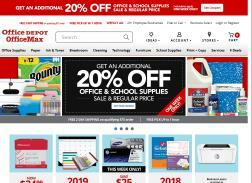 Office Depot & OfficeMax: Get $20 Off Your Minimum Purchase of $100 or More. Limit 1 Offer(s) Per Customer. Offer excludes technology. Office Depot & OfficeMax: Get 20% Off Your Qualifying Purchase. Limit 1 Offer(s) Per Household/Business. Office Depot & OfficeMax: Get $30 Off Your Minimum Purchase of $150 or more. Limit 1 Offer(s) Per Household/Business. Offer excludes technology. Office Depot & OfficeMax: Get Free $20 Office Depot Gift Card with purchase of select Brother XL Printers. Limit 2 redemptions per customer.